Daughter and I happen to see the food bazaar in Glorietta last Sunday and espied this stall selling chocolates. Actually, what attracted us are the nice wrappers ... then the flavors! 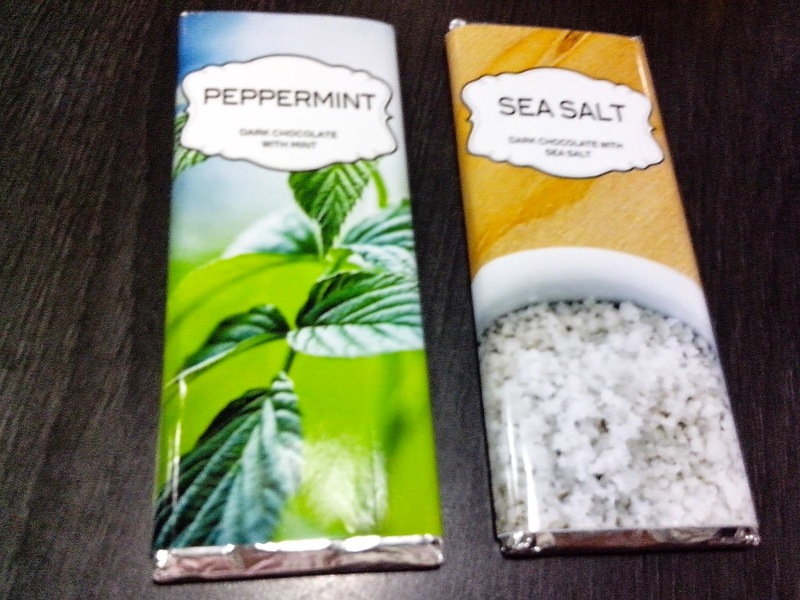 So we bought a bar of Sea Salt chocolate and another bar- Peppermint Chocolate (I love chocolate mints). A bar costs P50, not bad and its locally made too. 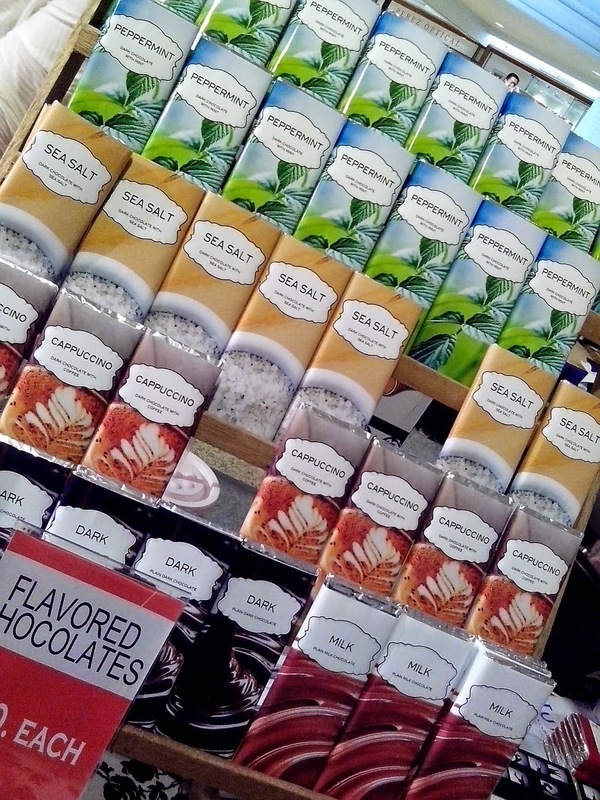 We first tried the Sea Salt Dark Chocolate or rather, dark chocolate with sea salt. Wow! Love at first bite. Even hubby enjoyed it. I love how the sea salt breaks the creaminess of the chocolate. Another wow factor is that the texture is very smooth, no grainy bits. As for the Peppermint Dark Chocolate, I love the minty flavor but I find the chocolate sweet and not dark chocolatey-ish. Texture is similar to the other one. Thumbs up! You can find Unit 16 Sweets on facebook.